THE PROMISE: For those seeking extra skincare benefits in their sunscreen, this pulls double duty: it shields against UVB and UVA, while the brand’s anti-pollution complex defends against the aging effects of city smog and other airborne debris. THE TECH: Extracts of white tea and lapsana protect against pollution, while cantaloupe and sanicle extracts reinforce the skin’s antioxidant barrier. Organic blackcurrant bud extract helps prevent redness. THE PROMISE: Suitable for both the face and body, this travel-friendly stick borrows its design from antiperspirants, offering swipe-and-go application with a lightweight finish. THE TECH: The formula packs the brand’s signature Helioplex technology (the filter avobenzone, stabilized by two more filters, oxybenzone and DEHN), to give prolonged protection against UVA (skin-aging rays) and UVB (burn-causing rays). THE PROMISE: Designed to hold up through sweating and swimming for up to 80 minutes, this made-in-Canada lotion promises not to leave a ghostly residue—a common complaint with many other mineral sunscreens. THE TECH: The ingredients are 98 percent naturally derived and biodegradable, including soothing aloe and a hydrating coconut oil derivative. No synthetic UV filters here: zinc oxide and titanium dioxide provide broad-spectrum protection. 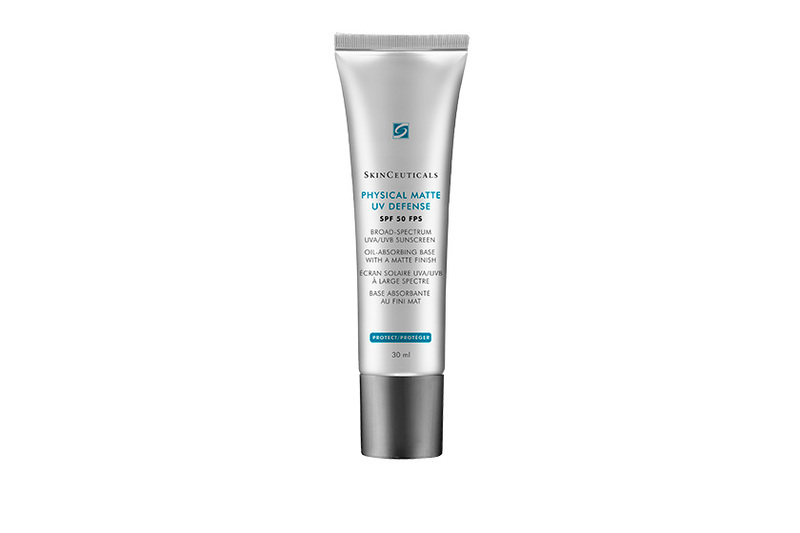 THE PROMISE: The mousse-like consistency of this sunscreen-meets-primer dries to a powder finish. Formulated for normal to oily faces, it will keep skin matte even on humid days. THE TECH: Physical filters, namely titanium dioxide and zinc oxide, give broad-spectrum protection. The mattifying aerated silica can absorb up to 15 times its weight in oil, and provides a smooth surface for makeup. THE PROMISE: This spray for face and body was designed to go easy on “intolerant” skin—meaning it’s hypoallergenic, fragrance-free, non-comedogenic and made with 100 percent mineral filters. THE TECH: Micronized zinc oxide and titanium dioxide provide the SPF, while vitamin E helps counter signs of aging. Two actives—Ectoin, an amino acid derivative that protects cells, and mannitol, a sugar that neutralizes free radicals—reinforce the skin barrier. This article was originally published in the Summer 2016 issue of Cosmetics magazine. For more, download our iPad edition.